In this book, we shall study about Forced convection heat transfer. 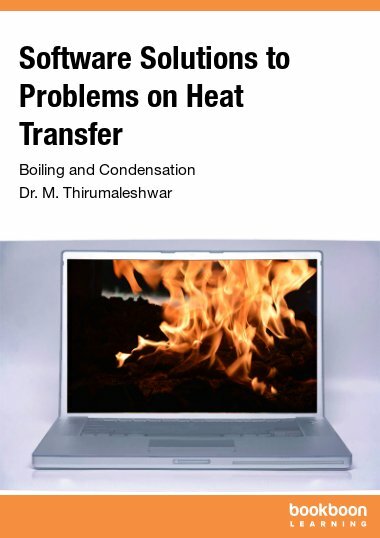 When the flow of fluid is caused by an external agency such as a fan or pump or due to atmospheric disturbances, the resulting heat transfer is known as ‘Forced convection heat transfer’. 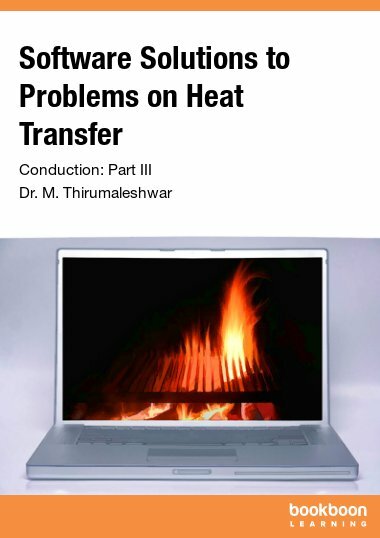 Exact mathematical solutions, even for simple convection heat transfer cases, are rather complicated and it is common practice to resort to empirical relations for solutions of problems involving convection heat transfer. Here, we shall first solve problems on velocity and thermal boundary layers. Next, since our emphasis will be on practical solutions with the use of empirical relations, we present several empirical relations to determine heat transfer and friction coefficients for flow over different geometries such as a flat plate, cylinder, tube bundles and sphere for flow under laminar and turbulent conditions. Finally, flow inside tubes will be considered and determination of heat transfer coefficient by analogy with the mechanism of fluid flow will be explained. As done in other books in this series, viz. “Software Solutions to Problems on Heat Transfer”, problems are solved with Mathcad, Engineering Equation Solver (EES) and EXCEL. 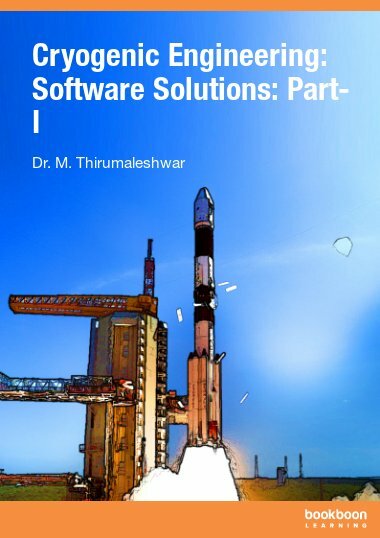 Much emphasis is given on the use of these software to conduct parametric analysis and present graphical representation of results. 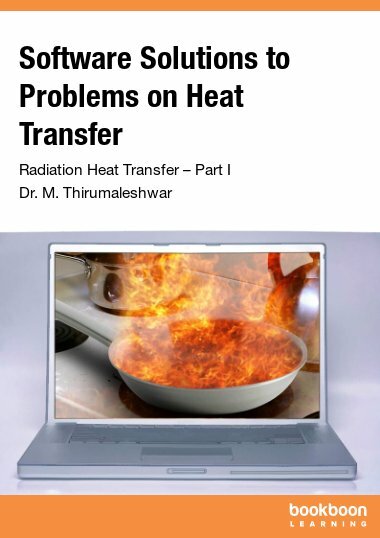 Boundary layer fundamentals, Flow over flat plates, Momentum – heat transfer analogy etc.